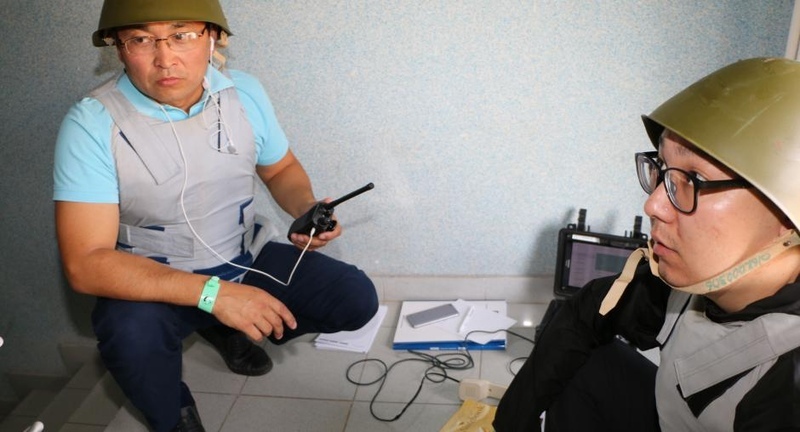 AKIPRESS.COM - Strengthening the capacity of crisis negotiators from across Kazakhstan was the focus of a five-day training course held from 16 to 20 July 2018 in Koschi, Kazakhstan. The event was organized by the OSCE Programme Office in Astana, the Embassy of Israel in Astana and the Ministry of Public Security of the State of Israel, together with the Law Enforcement Agencies Academy under Kazakhstan’s Prosecutor General’s Office. The course was led by experts of the Israel Police to prepare state officials to respond to crisis situations such as hostage taking and manage the negotiation process from start to finish. Topics included active listening, operative reaction, structure of negotiation groups, time management, the tactical role of intelligence in negotiations, means of communication, third-party intermediaries and organizing a co-ordinated response. These sessions were complemented by technical discussions and simulated exercises based on real-life cases that the Israel Police had dealt with in the past. Shakir Shayahmetov, the Acting Rector of the Law Enforcement Agencies Academy, discussed the importance of state authorities learning from other countries and the need for the course participants to share their lessons learned with colleagues in the areas where they serve. The event was part of the OSCE’s work on countering violent extremism and radicalization that lead to terrorism.